with 2 x 3 hole wall fixing roses. 35mm diameter Grab Rail 300mm- White Polyester finish. 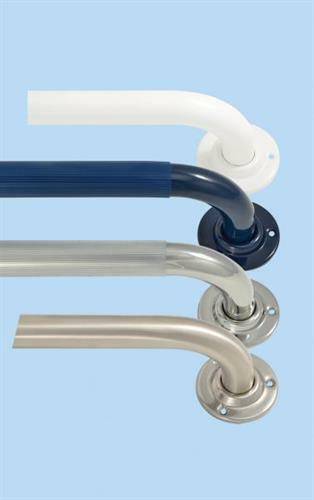 Be the first to submit a review for the Straight Grab Rail 35mm diameter stainless steel.